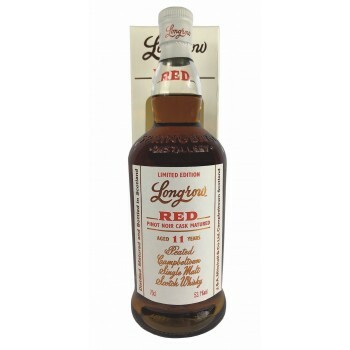 The Longrow Red 11 years old Pinot Noir 2019 Release is the eight release in this series by Springbank. A heavily peated Campbeltown single malt matured in bourbon casks followed by a 3 year finish in refill Pinot Noir casks from New Zealand. This years release is bottled at 53,1% ABV as a limited of 9.000 bottles.